We provide a multitude of property assessment services, ranging from: comprehensive site investigation, analysis & reporting to value engineering & capital budget development. We tailor our services to meet your current and future development needs. Our reporting follows ASTM E 2018 standard guidelines unless specific requirements are requested by our clients. Typical reports include: Executive Summaries of findings; Computer Generated Mapping; Jurisdictional Requirements; Digital Existing Condition Photographs; and condition assessments of all primary building systems. Units of Measure remain consistent with local jurisdiction. We offer AS-Built document development for our clients. Based upon our clients needs, we can measure existing conditions on-site and then produce plan sets of those existing conditions utilizing AutoCAD. We are also capable of utilizing existing drawing sets for baseline reproduction or conversion to new plan sets. We provide AutoCAD drafting, hardcopy paper to digital conversions and redline services. We will maintain our clients existing layers and CAD standards in digital format. Options include Architectural plan development; Engineered Document development; 2-Dimension & 3-Dimension. As an added service we can provide model development through our affiliates. Develop new Project Schedules from scratch utilizing CPM—Critical Path Method. Existing Schedules - We can review/refine and manage existing contractor &/or client schedules to determine feasibility, exposure or adherence to deliverables. Financial Analysis of existing facility expenses. Development of future maintenance planning. 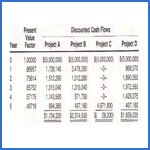 Development of Capital Budgets and financial projections of cash flow either by NPV or IRR methods. Our organization utilizes current technology to create digital mapping. We are capable of providing local, regional and divisional maps of sites & geographic territories. Included in these maps we have the ability to provide a visual representation of area demographics, competitors locations and much more.